Attention Marketers: Are your articles and blog posts boring blocks of text? Add videos, images, Headings, bold and italic text with a click of a button! are your blog posts and articles unreadable, boring blocks of text? As you probably know, people don't read on the Internet - they skim the article headings, watch a video or two and glance at images. If you want to engage your visitors, you need videos and images on your blog. We also need to mention search engines - Google doesn't like blocks of text either. They like that you have images, videos, bold and italic text in your blog posts. It's well known that rich blog posts rank higher. However... if you manage more than a few blogs and need to post hundreds of articles per month, it can be a REAL PAIN to find enough videos and images. It's such a pain, you're probably not doing it and consequently losing rankings and money because of it. 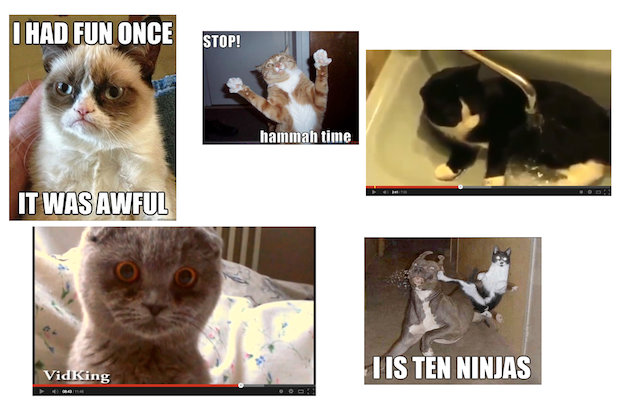 ...you start browsing YouTube only to end up wasting 2 hours on cat videos. "There must be a better way to do this!" Not only to avoid cat videos but also to make the whole process of finding and adding videos and images to blog posts as painless as possible. I sat down with my developers and told them what I want to do: one-click to add images and videos to batches of my articles. Then they also suggested "enriching" content by bolding keywords, adding Headings where appropriate and adding a random italic sentence. What a fantastic idea! Big Media Scraper BETA was born in 2 weeks and we've started internal testing. It was awesome! 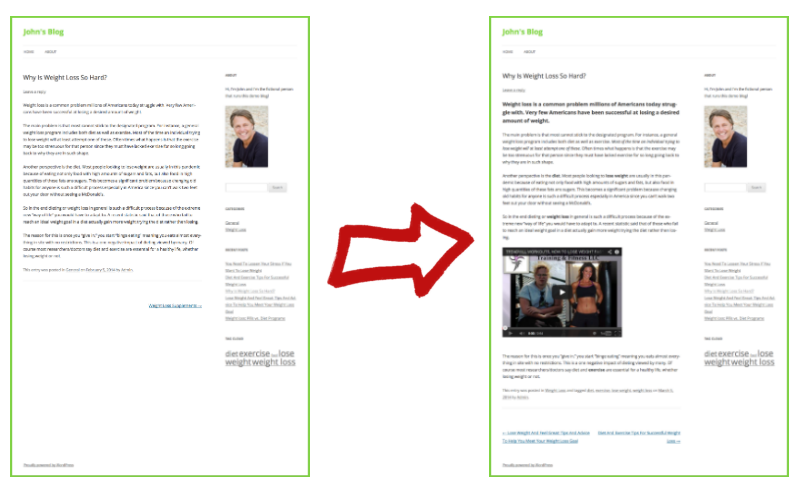 Easily transform your blog posts from boring text to engaging articles. With Big Media Scraper there's no more need for browsing through YouTube or Flickr to find appropriate media. All you need to do is upload a ZIP of all your articles, enter relevant keywords, paragraphs where you'd like to add videos and images... and click upload. That's all! You can also use Big Media Scraper with our other products - Big Content Search and plugin WP Postly for automatic publishing of rich autoblogs. If you manage multiple blogs where you need to post multiple articles, Big Media Scraper will save you hours every month. Subscribe to Big Media Scraper and if you don't think the service is returning at least 5 times that amount each month, let us know and we'll refund you 100% of your money with no questions asked. You have full 60 day to test out Big Media Scraper!